Ratings, flags and color labels are meant to help you streamline your work with your digital assets, as they give you instant and straightforward information about the priority and status of the selected asset. Ratings. When you move the mouse cursor on the thumbnail of your asset, you can see five bullets at the top which become stars when you locate the cursor directly on them. By moving the mouse from side to side you can select the number of stars you want to award to this asset (from one to five stars). In this way you can mark your assets and determine their rating. Flags. You can find the flag icon in the top right corner of the control bar on the thumbnail. By default, the files are marked as unflagged. By clicking on the flag icon, you can change the status of the file (Unflagged, Flagged, Rejected). Unflagged transparent status means that the asset hasn’t been reviewed yet. Flagged status, which is when the flag is white, means the asset has been reviewed and accepted. Rejected status, with a cross inside the flag, means the asset has been reviewed and declined. Color labels. In the same right-hand side control bar on the thumbnail you can see “color” button. By clicking on it and choosing a color from the given palette, you can mark your files in the way you want. The color mark will appear in the bottom left corner of the thumbnail. You can also find these asset marking tools in the Info Panel on the right side of the main screen once you open your asset. Due to their simple and intuitive visual messages, star ratings, flags and color labels simplify your navigation through the digital library and facilitate communication with your teammates. 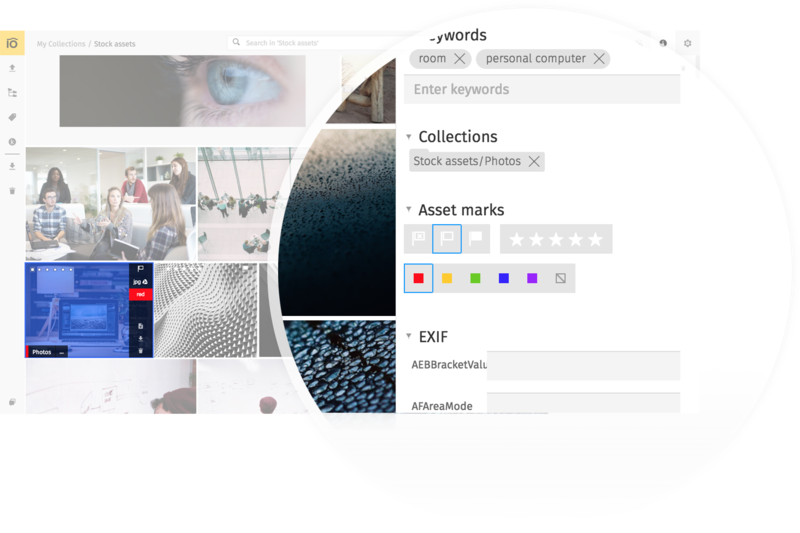 These asset marks also help you search through your digital library, as you can filter your search by flag, color or rating. Color labels, star rating, and flags are saved within your assets when you sync them with Google Drive. This information remains available after you download your asset and work with it outside Pics.io, e.g. in Lightroom or in a similar service. 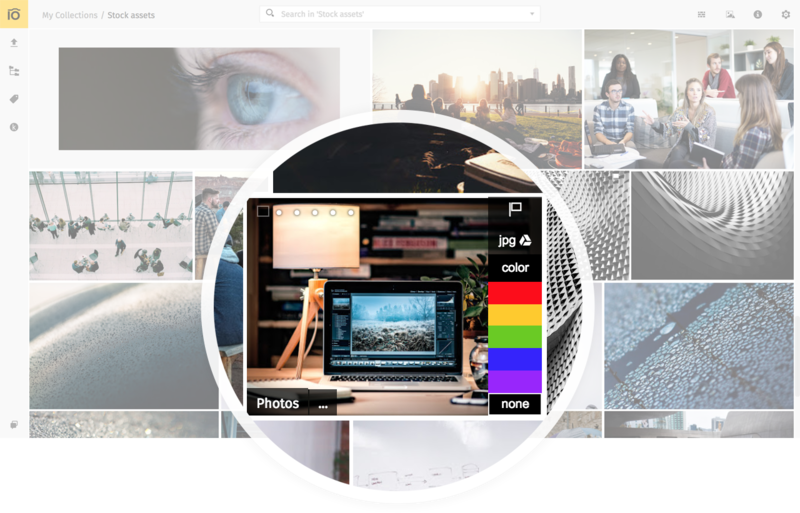 Asset marking feature is also available on the websites you create to share your work with others. It comes in especially handy when you showcase your work to your client. The latter can merely utilize these marking tools without going to the trouble of writing long messages. Read more about websites here.